BC Modular is a collection of over 400 modules for the Creamware/SonicCore Modular II, III & IV devices. Envelopes, Filters, Oscillators, Switches, Mixers etc. provide all the basic building blocks you need for the most complex of modular patches while compatibility with existing modular modules means that BC Modular can be easily integrated into your patches. Almost every module parameter has an input socket for extended control and modulation. Each module features a pop-up panel, where the appearance of the module can be edited for easy recognition. 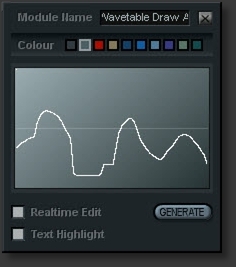 In addition, many of the modules feature slider controls for the various module parameters. 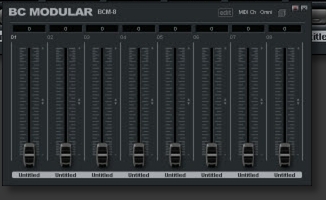 The BC package includes its own Modular Shells with extra IOs for connectivity with other Scope devices and native control applications such as Expert Sleepers Silent Way. What's more, a suite of software and hardware IO modules are provided which can be loaded directly into your modular patch as an alternative to connecting via the routing window. For module descriptions, see BCmodular Wikipedia pages. Support, feature requests, patches etc. can be found on Sharc's BC Modular forum.